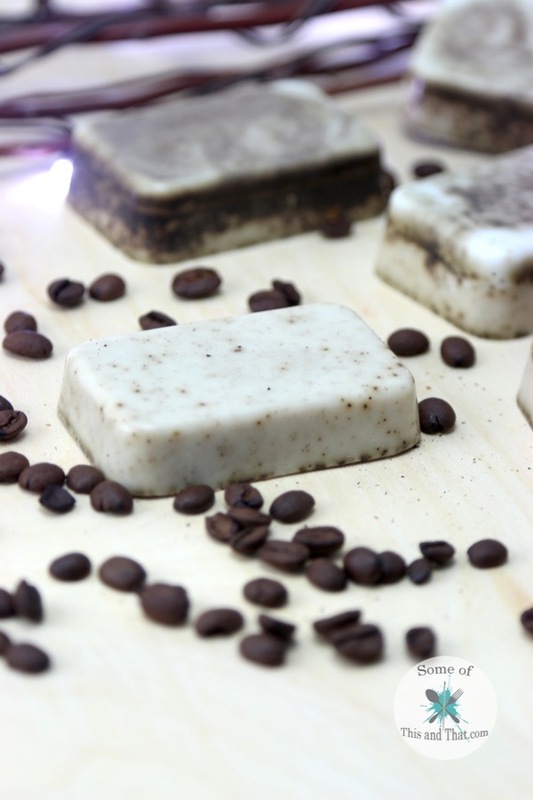 DIY Vanilla Latte Coffee Scrub Bars! In my previous post I showed how to make a super simple DIY Vanilla Latte Candle! 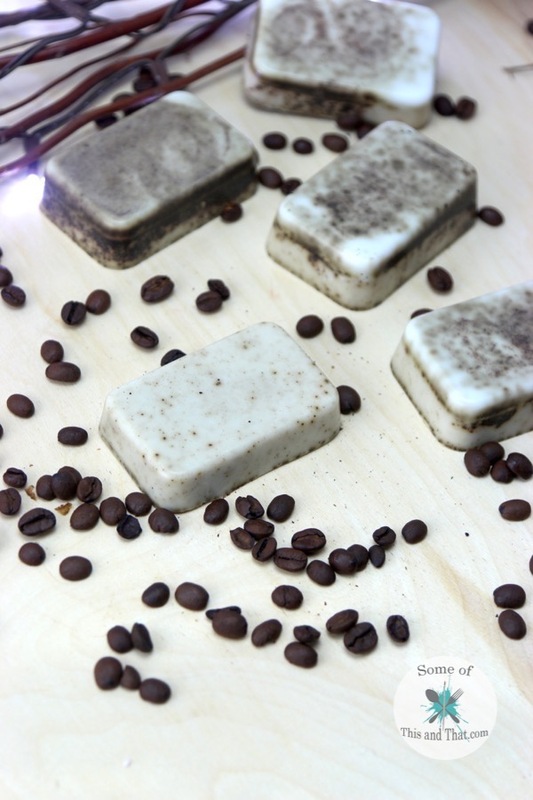 Now, I will show you how to make DIY Vanilla Latte Coffee Scrub Bars! These are simple to make, smell amazing, and are great for getting rid of dry skin! While I love making soap from scratch, I do enjoy the ease that Melt & Pour Soap has. You do not have to wait for it to cure for a few weeks, and it can be customized to almost anything that you want! Coffee is great for the skin because it acts as a gentle exfoliant, and the caffeine in it can help reduce the appearance of cellulite. Plus, it smells amazing as well! 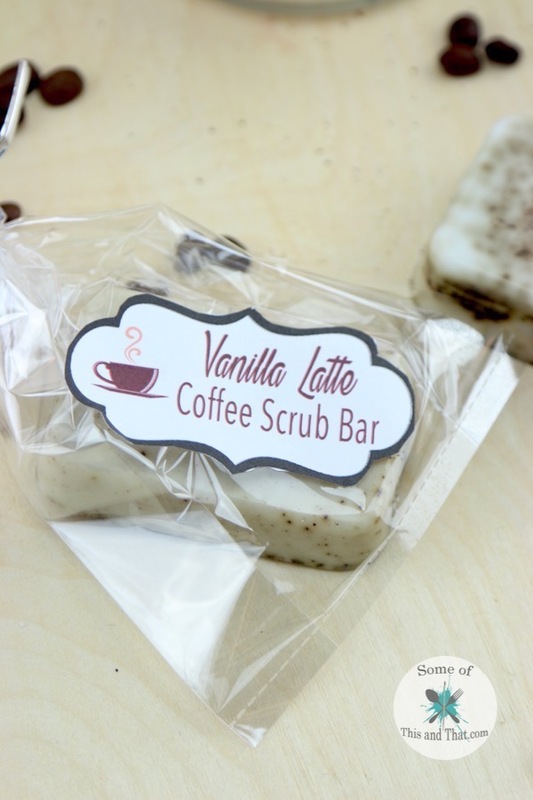 To learn how I made this DIY Vanilla Latte Coffee Scrub Bars as well as 2 DIY Coffee Candles, check out the video below! To grab the free printable labels, check out the download box below! The combination of the coffee with the vanilla scent is perfect to wake you up in the morning! 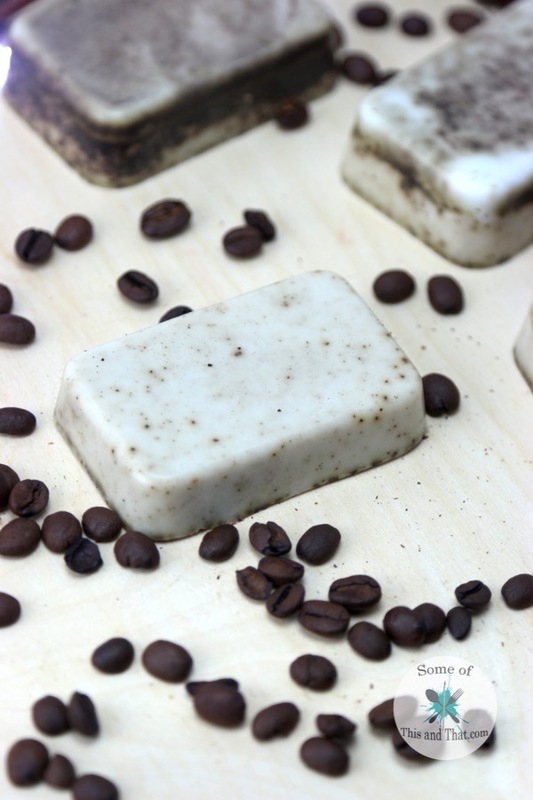 So, if you have a coffee lover on your holiday shopping list, this DIY Vanilla Latte Soap will most likely be a big hit with them. Or, you can always keep it all to yourself! Previous Post: « Free Holiday Printables! 3 to Choose From! So excited to do these in lip molds for my lipsense packages thank you!!! The recipe sounds awesome! It’s a great way to wake up in the morning.